You've got an AMEX, Mastercard, possibly a VISA card too. The question is do you have a new 'I'm a Bold & Beautiful Swimmer' card? No! 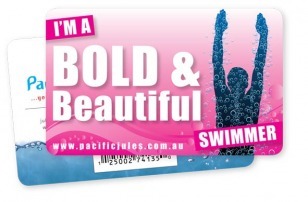 well you should get one, the 'I'm a Bold & Beautiful Swimmer' card could save you heaps on your next purchase in several manly businesses. The card costs $10 which you will probably save in just one purchase - what are you waiting for? You can purchase one any morning after the regular swim.